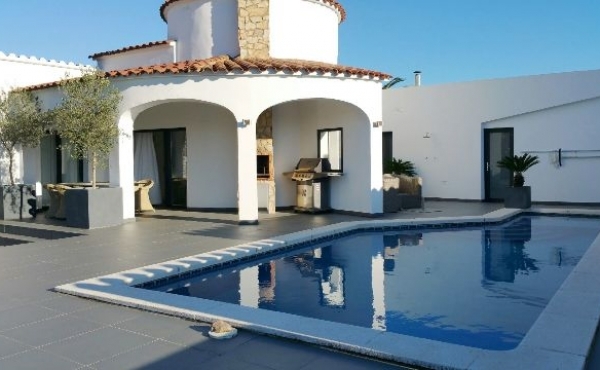 This villa built in 2016 is located on a wide canal Ground floor: 1 spacious living room - dining room, 1 fully equipped American kitchen, 1 en suite bedrooms, 1 double bedroom and a separate bathroom ..
Renovated house of 160 m2 on a plt of 700 m2, distributed on living room open to the kitchen area, 4 bedrooms, 2 bathrooms, covered terrace with barbacue area. Garage and outdoor parking. Large garden with .. 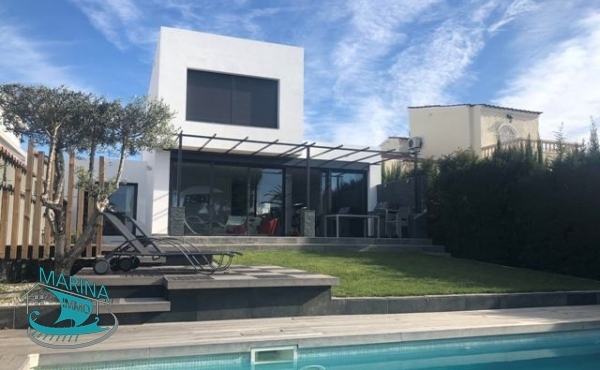 This newly built villa is located on the Empuriabrava canal Land of 454 m2 and built area of 218m2 Ground floor: It consists of a living - dining room, a fully equipped kitchen of 40 m2, 1 ..
Beautiful house located in Fortia, 5mns drive from Empuriabrava. 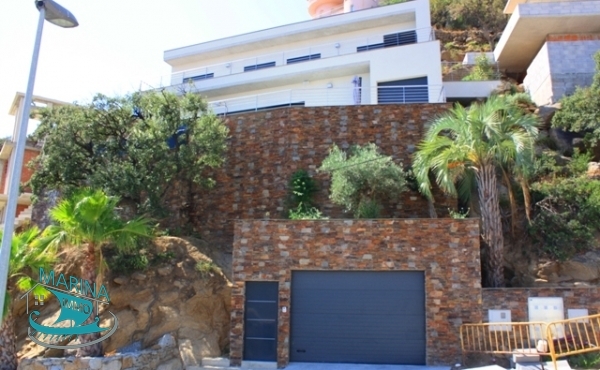 It consists of a living room - dining room, 1 kitchen, 4 bedrooms, 3 bathrooms with wc, terraces, garden, swimming pool ... Extra's: stables for horses, parking, garage, .. 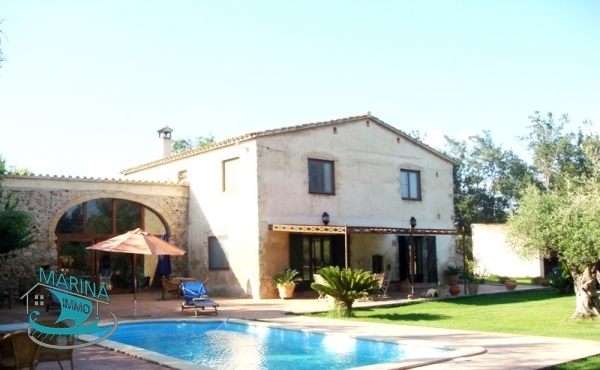 This Villa is located on the first channel of Empuriabrava, southern exposure. It consists of a spacious living room - dining room, 1 fully equipped kitchen, 4 bedrooms en suite, 1 double bedroom, 5 bathrooms, 2 ..